Matomo is trusted on over 1.4 million websites worldwide. Matomo is an all-in-one premium web analytics platform designed to give you the most conclusive insights with our complete range of features. 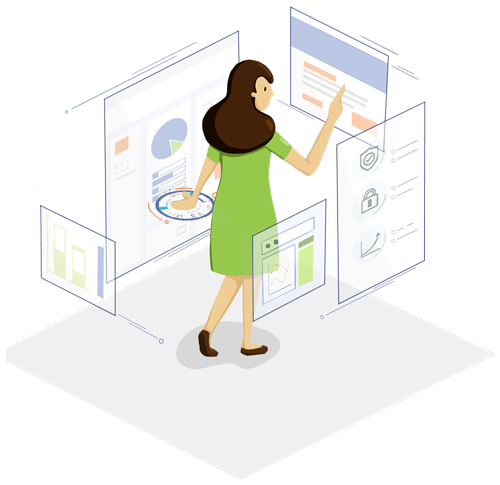 You can also evaluate the full user-experience of your visitor’s behaviour with Matomo’s Conversion Optimization features, including Heatmaps, Sessions Recordings, Funnels, Goals, Form Analytics and A/B Testing. Did you know that accurate data reporting is often capped? Meaning once your website traffic reaches a certain limit, the data then becomes a guess rather than factual. This is where tools like Google Analytics become extremely limited and cashes in with their GA Premium suite. At Matomo, we believe all data should be reported 100% accurately, or else what’s the point? 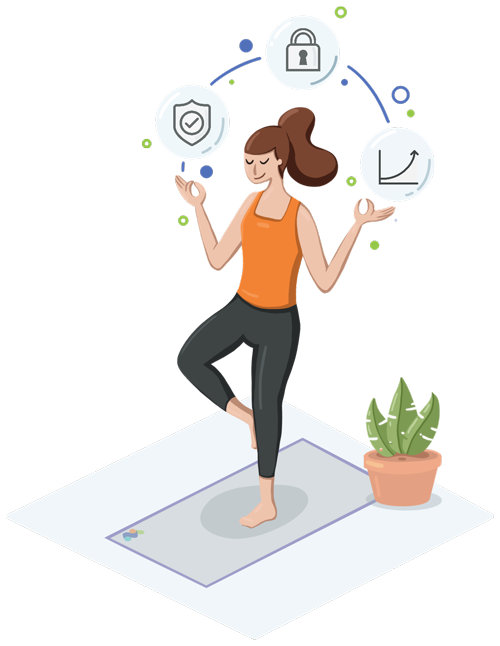 Take the challenge: Compare your Google Analytics data (sampled data) against your Matomo data. With Matomo, the philosophy around data ownership is simple, you own your data, no one else. This fight for people to own their own data, has rallied others to the cause. 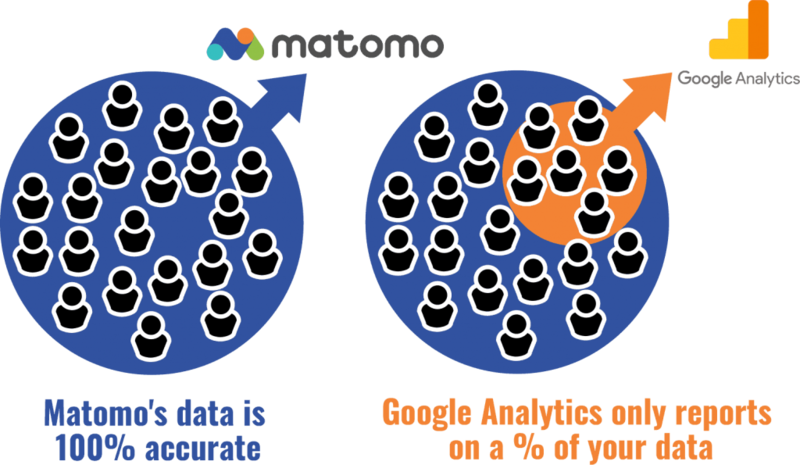 Today Matomo is one of the most trusted names in analytics, currently used on over 1.4 million websites in over 190 countries. It’s time to take back control and ensure your data remains in your own hands. 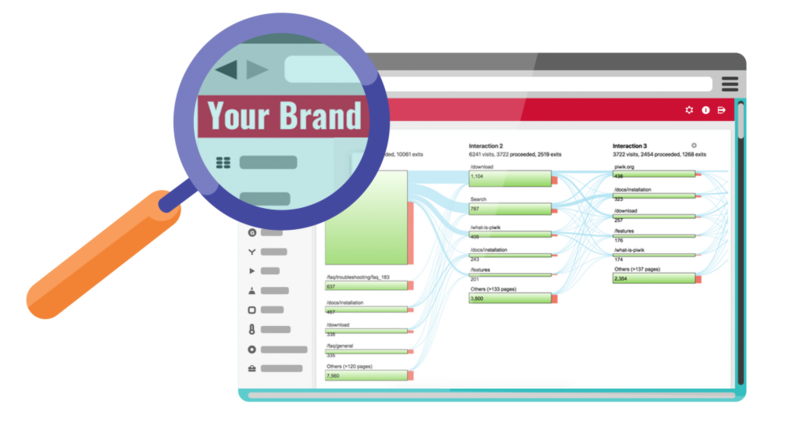 There is no other analytics tool that is as flexible and customisable as Matomo. If you have the capabilities to do so, almost anything can be changed, added or extended; that’s the benefit of being open source after all! Customisable & Extendable - Create your own features and completely change the user-interface. Create your own web analytics platform to own and sell! ✔ Reliable & Secure – Security is a top priority at Matomo. As potential issues are discovered, we validate, patch and release fixes as quickly as we can. We have a security bug bounty program in place that rewards researchers for finding security issues and disclosing them to us. 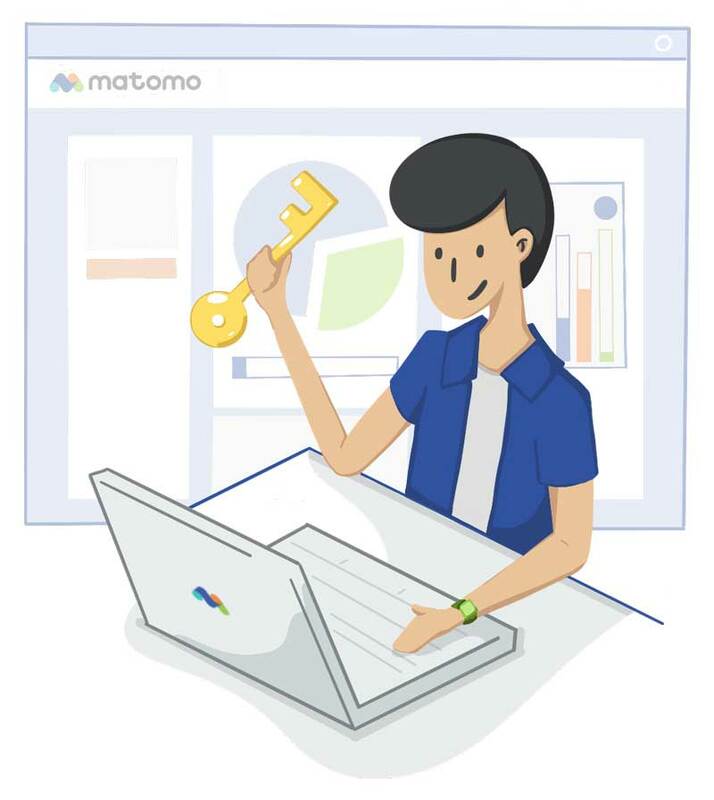 ✔ User-Privacy Protection – Matomo is trusted and used by industries that have strict compliance and data privacy regulations to ensure that their user’s privacy is protected. ✔ No Data Limits – When you use Matomo On-Premise, It’s totally up to you how much data you store and for how long. 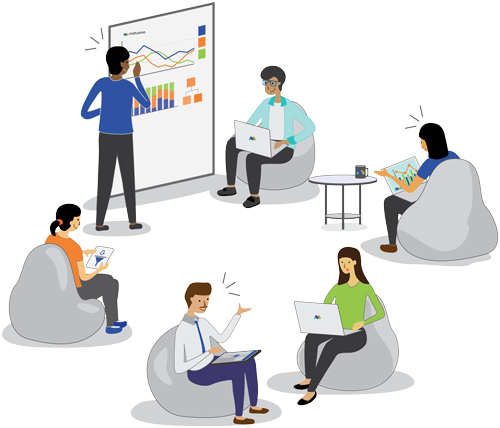 No other tool will give you the freedom to gain insights without limitations which is a big bonus for businesses with demanding data requirements. Founded in 2007 by Matthieu Aubry, and with the help of a passionate and dedicated community, Matomo has grown to become the #1 open-source web analytics platform in the world. Don’t be restricted when it comes to presentation. You can have your branding and colour tones displayed throughout your Matomo interface and reports having them looking the way you want them to. The General Data Protection Regulation (GDPR) is now in full force and all businesses with website traffic coming from the EU or Switzerland need to comply with the GDPR. 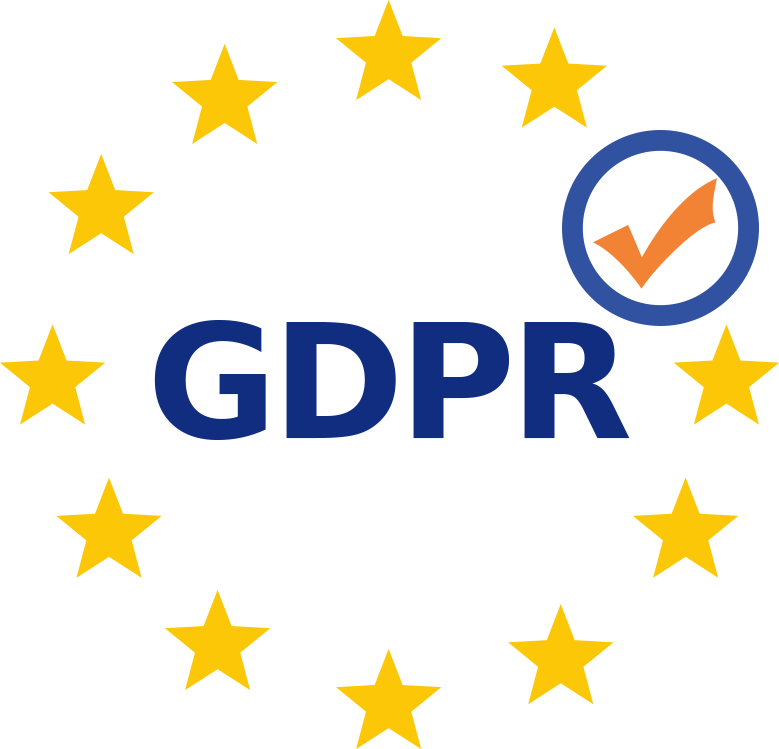 Matomo offers an advanced GDPR Manager to ensure your business is fully compliant with the new regulation. As the GDPR continues to evolve, you can be assured that Matomo will be at the forefront of these changes to create a safer web experience for everyone. Matomo easily integrates with 100+ technologies including Content Managing Systems, eCommerce Stores, Forums, Frameworks and more. 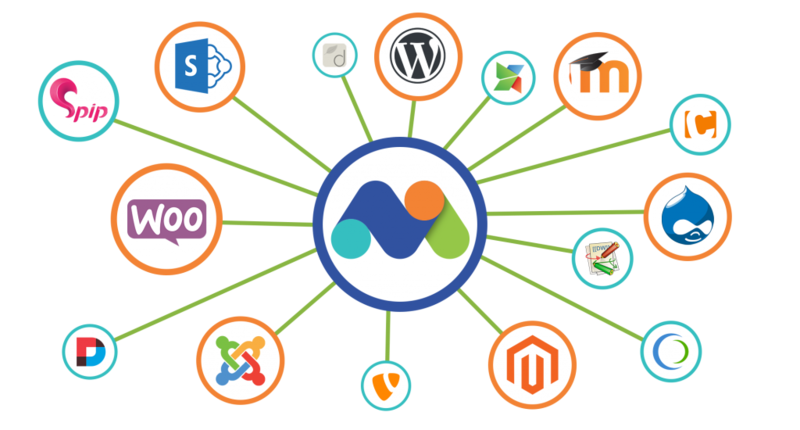 This includes integration with WordPress, Magento, Joomla, Drupal, WooCommerce, Microsoft Sharepoint and Moodle. "As one of the leading secure and private email solutions mailfence.com attaches the utmost importance to security and respect for privacy. We therefore selected Matomo as our open source digital analytics platform, in order to track traffic on our commercial site while preserving total control of the data and fully respect the privacy of our users." Customisable, reliable, secure and respectful of user privacy. 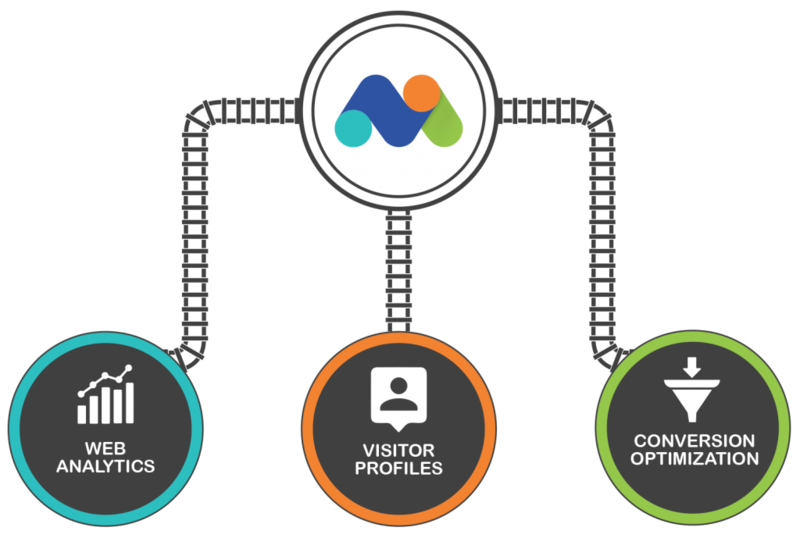 Combine these benefits with the most powerful web analytics and conversion optimisation features available – no data limits, no data sampling and making it easily accessible to businesses of all sizes – then wrap this into one centralised tool and you have Matomo. A tool that provides users with complete analytcs and is trusted on over 1.4 million websites, in over 190 countries, in over 50 languages. At the heart of it, the values of respecting privacy, 100% data ownership and our belief in offering an open-source web analytics tool will forever be ingrained in our DNA.